IT is always a pleasure to listen to Narendra Modi, except when he is addressing an election meeting. 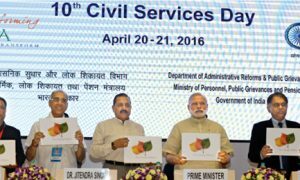 And the occasion of Civil Services Day was no exception. Notwithstanding the ostentatious setting and bureaucratic audience complete with the most stringent security arrangement, the Prime Minister spoke with professional ease, boosting the morale of the pack of bureaucrats assisting him in the task of reengineering government for ‘maximum governance’, whatever that means. He extolled the virtues of being a civil servant. Speaking from the heart, he called them the chosen few and said that they have never given him a chance of chiding them. And then, alluding to the work of groups of secretaries in deliberating on the eight flagship programmers of his government, he paid them the ultimate compliment of being intellectually superior to the best consultants in the world. Whether he really meant it, one does not know. But, he got real when he said that while no one had faulted the initiatives of the government, questions have been raised about the impact on the ground and said that the government should take a lesson and strive to improve its image. Perhaps the realisation has dawned on the PM that starting a score of ventures and taking a few steps in each of them may be a good long-term strategy, but the patience of the electorate is severely limited. Therefore, short-term programmes of reaching out to the farmer and the other weaker sections of the society are equally important for refurbishing the image of the government. We wait for the next Civil Services Day to see the course correction. A simultaneous development on the social media was the collective decision of a large number of civil servants to boycott a certain mainstream newspaper for unpretentiously addressing the entire bureaucratic tribe as ‘babus’. One does not know when the otherwise respectful sobriquet became pejorative, but the fact is that today it is used in the most derogative sense of conjuring the bureaucrat’s image as inefficient and often corrupt individual. Though I have also joined them in unsubscribing the newspaper, I feel the bureaucrats should deliberate on what do they think of themselves, and what do others think of them? 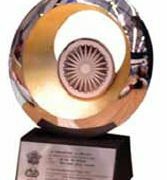 The Civil Services Day to celebrate the Indian civil servants’ contribution to the task of nation building was introduced nine years ago. 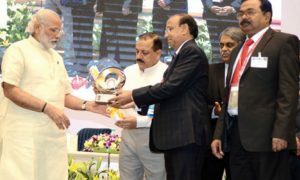 Apart from the official function in Vigyan Bhavan, where the Prime Minister addresses the bureaucrats and distributes awards for good work, there is no serious reflection on the trials and challenges for the civil service, though the format is being continuously improved. This year, for instance, expanding the deliberations to two days, power point presentation by the CEO of Niti Aayog and broadening the awards for excellence were new features. 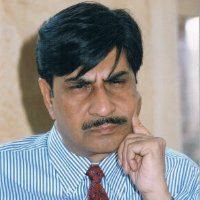 However, there is no indication that the internal contradictions within the civil services are being cogently addressed. The function in Vigyan Bhavan appears to be a poor showcasing of the realities of the Indian Civil Services as it is not used as an occasion to pause and introspect on the shortcomings and challenges for bureaucracy and find ways to improve the attitudes of civil servants. Besides the usual official inauguration and valedictory sessions by VVIP, the rest of the time should be devoted to soul searching. To be perceived as people friendly and helpers of the weak and less privileged. Is anybody listening? Endpoint: A smart comment by an eminent non-IAS colleague, ‘shouldn’t the Civil Service Day be renamed as IAS Day’?